Oh, think of the tragedies rooted in ambiguity! So goes the old saw from Strunk and White’s The Elements of Style. 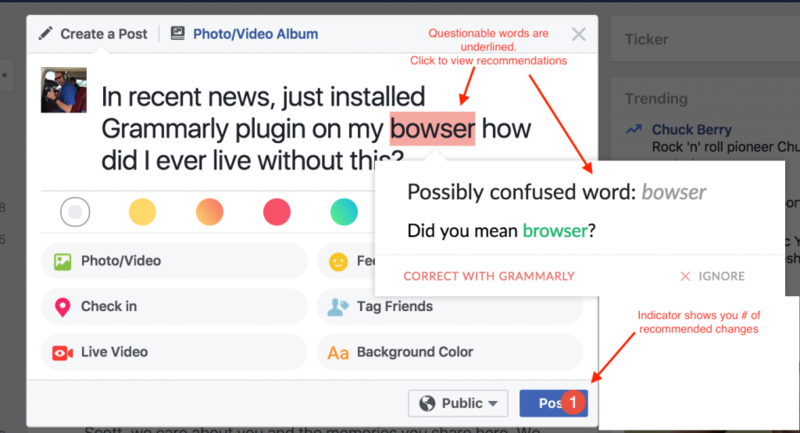 The days of bad grammar and spelling errors may not be numbered, but with the browser plugin called Grammarly, typos have certainly gotten easier to hunt. Some people think typographical errors don’t really matter, especially when they happen online. I disagree. Misspelled words, and awkward sentences don’t just muddy the issue, they undermine your credibility. Grammarly helps fix all that. The free plugin you add to your browser is like having a proofreader, peering over your shoulder, analyzing everything you write. I’ve tested in Mac Chrome and Firefox. (Seems to be more stable in Chrome). What’s more, Grammarly is VASTLY more powerful than Word’s built-in grammar and spelling checker. 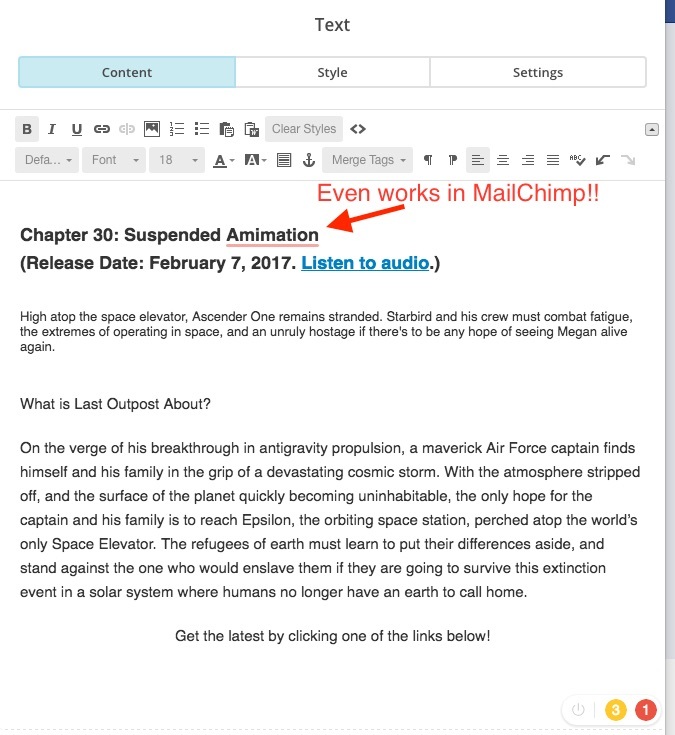 Users of Mailchimp, Constant Contact or Aweber this is a MUST HAVE. How many times have you blasted that email out, only to discover there was a typo in it? 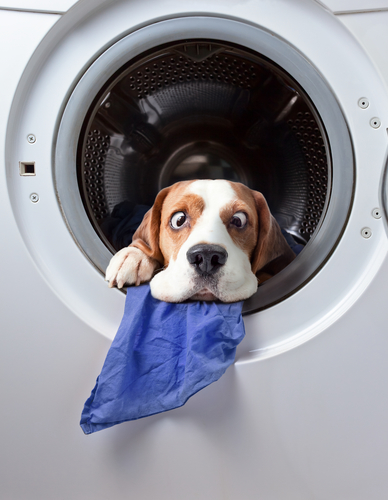 Squash that embarrassment by having Grammarly checking your eBlast before letting it fly. In addition to the browser plugin, Grammarly also has a very handy desktop application. Here you can get more in-depth analysis of your writing, especially when you upgrade to the paid version. Did I give these people my money? Hells yes. If they had an office in Boulder, I’d bring them donuts. The only other browser plugins I’ve felt this much affection for are from Evernote, and 1Password. The desktop version of Grammarly gives you a broader canvas on which to view recommendations. Including a plagiarism checker (turned off by default), which looks at your copy for originality—very handy. Drag or cut and paste what you’ve written onto the desktop app’s window to kick off the analysis. Questionable words are underlined. Recommendations appear on the right side of the window. You can choose to incorporate the recommendations or not. Need more convincing? Check out the Grammarly site for more demos. When you’re ready to post, tweet, blast, flame, and link with confidence, you’re ready for Grammarly. When reading Grammarly’s recommendations, I’m reminded of a joke I heard a long time ago. A new student has just arrived on the Harvard campus. He’s lost. He finds a teacher and asks him for directions. Finally, you can kill those pesky typos in your tweets! Make sure your next eBlast is typo free!